The 4th training on intensive course of obstetric emergency was held, on Dec 08-10, 2017 at National Maternal and Child Health Center, under honorably presided over by SCGO Honorary president Prof. Koum Kanal and other cervical cancer project board member. 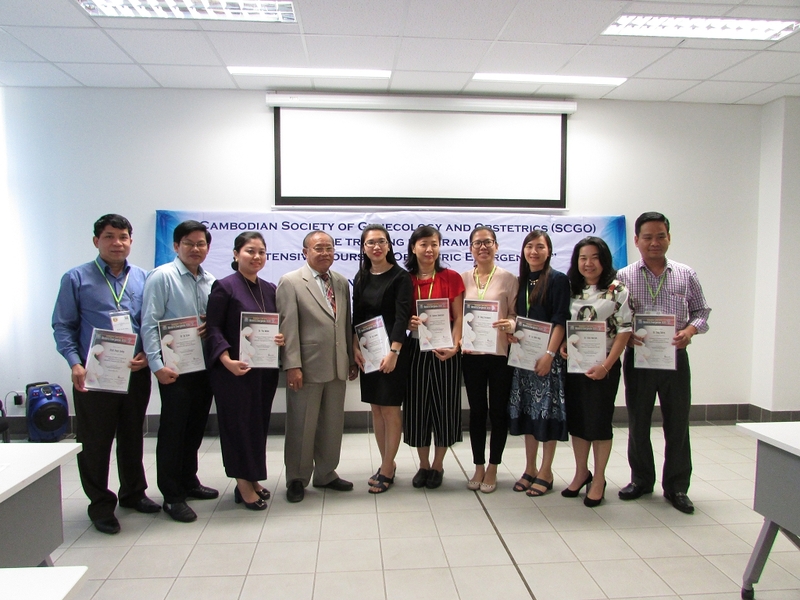 Our society got 27 trainees who came from provincial site.This training was provided by 9 Cambodian Probationary trainer team and observed by trainer team from Obstetrical and Gynecological Society of Malaysia (OGSM). The main purpose of this training was to building capacity and to improve obstetrical & gynecological practice to our SCGO member in Cambodia. ីIn appreciation, our 9 Cambodian trainer got certificate as training of trainer as official.